If you're hunting for cold potential in the model output, this thread is for you.  But if you'd like to look more widely at the models, please head over to the general model discussion thread. ECM and GFS just don't want to back down it seems. Still no agreement. 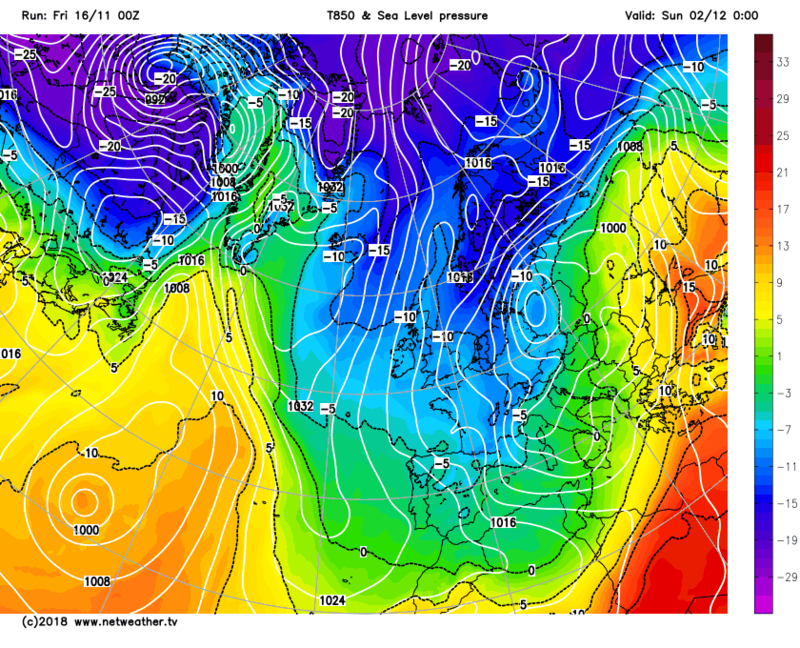 Fantastic 00z GFS, perfect from start to finish! 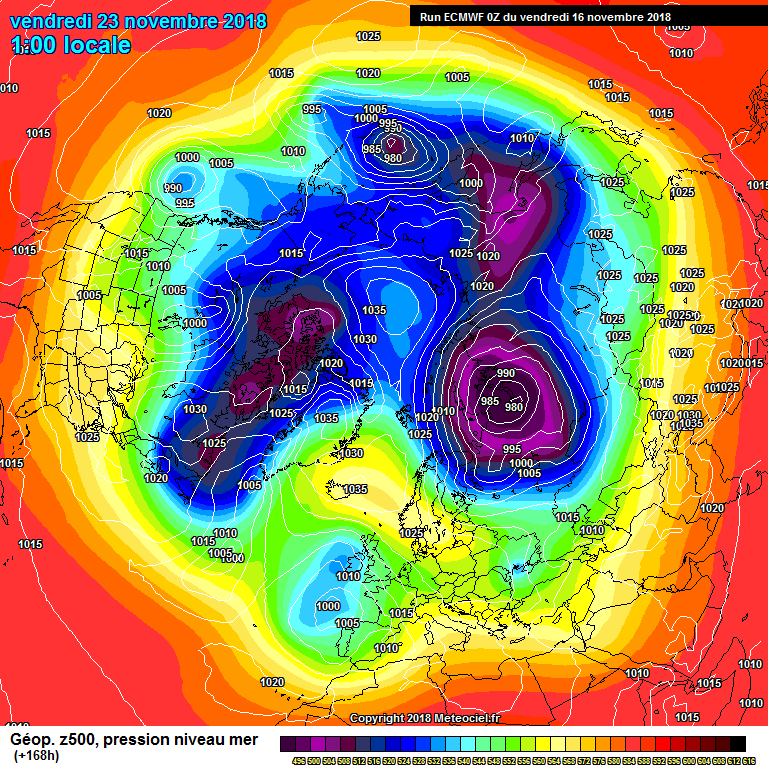 ECM still a bit dodgy with a sceuro high rather than the ridge making it up to Greenland, the chaos continues! ECM 168 Really frustrating that saggy part of the high to the South East. Surely the energy has to head SE into europe after day 8 on EC??? 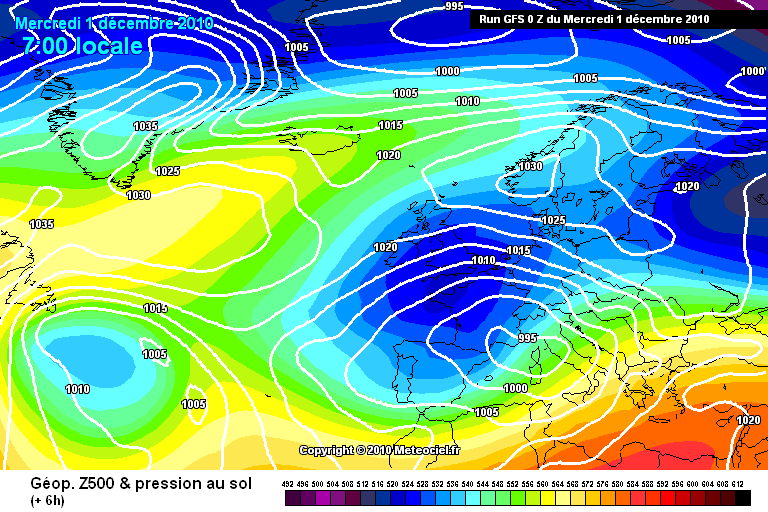 OK so no GFS outcome on EC but it looks cold and dry generally with a SE flow into the UK next weekend. Not really what Sarah Lucas was forecasting last night- (yes i saw it too).. Essentially by day and esp the night temps would be dropping like a stone, think late Nov,short days etc.. I'm happy with it, but i'm aware this is complicated and changes could yet happen..
ECM once again finds the way to put the high in the most inconvenient position possible, haha. as others have said, given the warm autumn, we are early on this pattern to bring deep winter cold surface conditions initially but really not too far away and seeing as winter hasn’t even started yet, maybe just enjoy the ride ?? Thanks Blue, the winds from the east looks nailed on, i'm sure some the of the guys in the SE corner (esp with some altitude) will be wondering if we can squeeze a dusting next week- 850s of -7 on EC ... not sure on dp'S though? 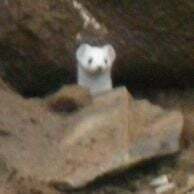 Thereafter is entropy, to coin the phrase. Personally i'm not expecting a GFS 00z scenario , my hope is the block , despite apparently sinking back longer term, can do enough to deflect the Atlantic to our South. edit i think the far SE corner scrapes a 850 of -8 through wednesday..
Well apart from the ecm which is really startin to Tut me off the rest of the 00z runs are great! 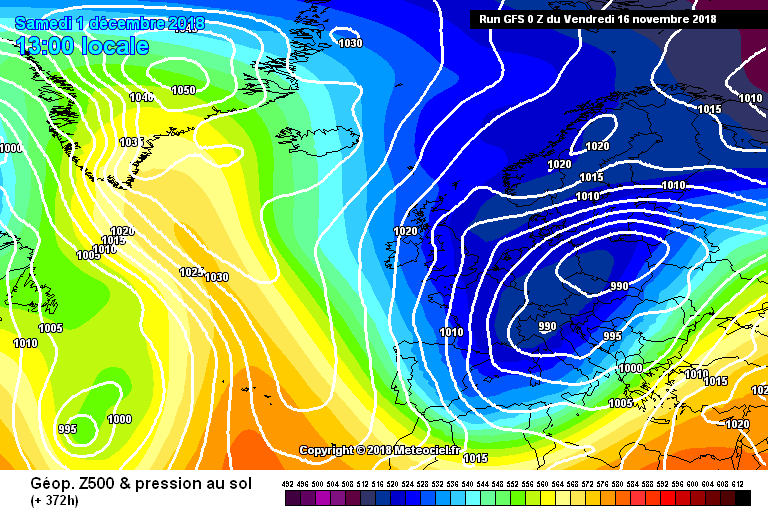 !ecm is brilliant up to 144.hours!still dont think its right after that! !could get some snow from that easterly aswell! !is it me or does that flow of the continent seem to be forecasted to be colder after each day lol! So the GFS is a dream run and the ECM a bit meh. Theres an upgrade on the overnight MO forecast for days 6-15. Lowland snow possible north and east! It would be fair to say this week is pants - next week looks more seasonal, which to me is a welcome change from this mild dross. OK OK i know some dislike them and i'm sure with good reason, but with dps hovering around zero and 850s around -7/-8 in the SE corner i reckon some maybe more elevated spots might see a dusting.. Morning all. Just had a chat with a duty forecaster from our service team. Their model differs in the orientation of the high compared to latest UKMO run. At 120t has the high centre over Scandinavia that allows more of a backing of the flow(ENE) At 144t the surface high cell moves between Scandinavia and Iceland . A easterly component to the flow shows signs of becoming a bit more dominant into the British Isles. Longer term ridging into the Arctic still been shown that may allow a more fluid meridional set up. 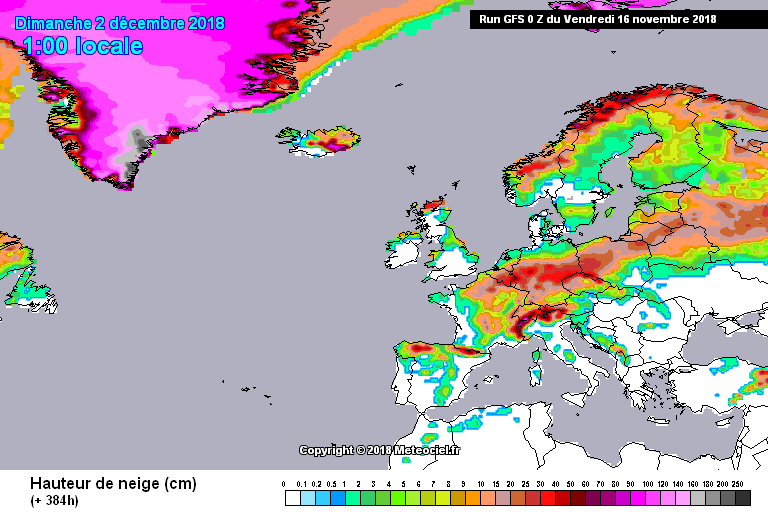 The outer perimeter snow model they use does show some snow( convective type) in parts of Britain (period 144-240 ) NE England favoured at 200m but could lower later in the period. They do not dismiss the UKMO model out to 144t as they have to much respect for this but is well out of sink this morning with its own model. Again, they express the surprise shown by ECM at its speed of the Westward Propagating trough being shown. What their own model indicates is a rather gradual change to cold but with an increased easterly element to the UK weather that's likely to becoming more dominant /prolonged. A bit of an update this morning from our forecast team. Outer perimeter snowfall model has snow setting in here on Sunday night with a total accumulation of 11cm and temp down to -12c at top station by Wednesday morning. So that's an encouraging prediction for the resort planner, but greater snow depth needed to start work on the seasons ski pistes , but that's a start. They inform me that a increasing feature showing on their on single model at 144t-168t is the formation of another westward propagating low formation / trough in the Northern European plain/Southern Baltic region. They seem to think this could be the catalyst to advance the Arctic front into the British Isles by months end ( one to watch ). Regarding the shorter term models out 144t, UKMO seems the best solution from what they see and again are surprised at the ECM speedy evolution to a veer in the flow. Their own longer term charts still show strong ridging towards the Arctic with possible Omega Upper flow (300mb ) block developing a more meridional flow early December with strongest flow into NE Europe and rather weak Atlantic jet still showing persisting, but that's a long way off. Will get a latest snow projection later today, so will try a see what that has in store for UK , however , still in the out perimeter predictions. Its going to be great model watching in the hunt for cold but pleased with this morning update from over here . Slight exaggeration to say the U.K. will ‘grind to a halt’ . Most central areas stay dry on the latest Gfs. Below is the total snow cover by the end. Still great to see this early in the season ! If the models are showing snow for central S England within t96 and the Met Office have amber warnings, then I will take interest. 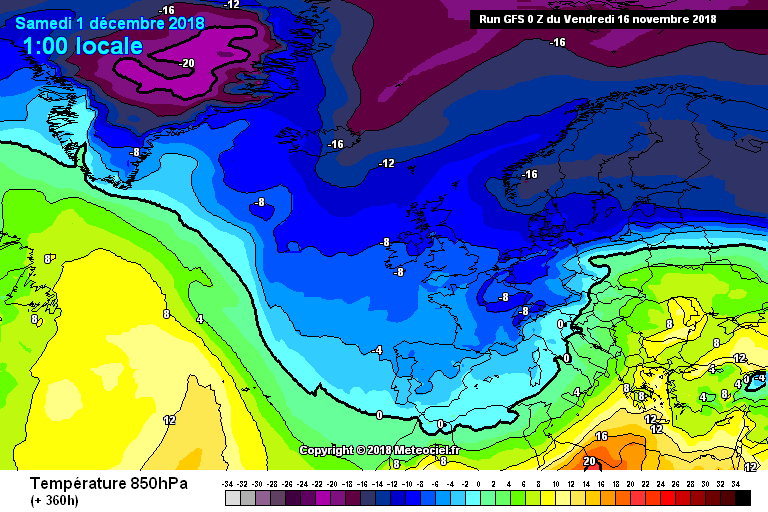 Very good gfs this morning cold nextweek frosty weather with brisk easterly in south not cold yet for low level snow yet but later on in run door opens up to the freezer winter is coming. i would say they hold at least as much potential, if not even more, for a cold and wintry December this year. Very exciting prospects indeed! Now all we need is for these conditions to verify..... What are the chances, eh?